We propose a new solution for the measurement of pressure inside the oral cavity. The proposed device has been designed with the purpose of measuring the tongue pressure on the palate directly in the oral cavity and transmitting the data wirelessly. The device is minimally invasive, because no cable is used to connect the pressure sensor placed in the oral cavity with the reading unit placed outside. 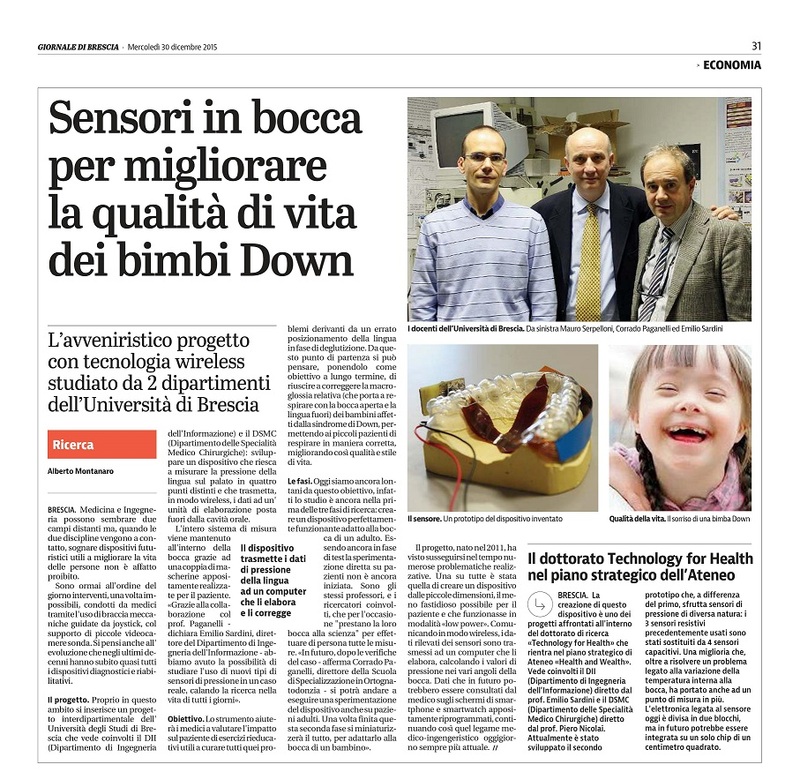 In this work, a device with the aim of providing a non-invasive aid for down sindrome children.